While I wouldn’t really recommend some of them, others are simply must-reads. Please bear in mind that I have kept the original introductions of the book reviews. To help you in your choices, I have added below each introduction a short note, in retrospect. 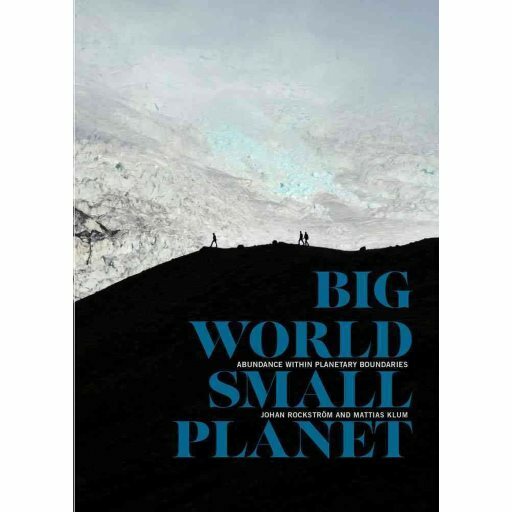 Published last September before the Paris Agreements this book combines the latest climate and sustainability science with great photos. I believe that by combining great photos – the first one being Earthrise – up to date Science and great examples that truly empower the reader. This 200-page book is a must read for any family. It should be in the reading list of every sustainability minded person, and for that matter, in our schools. I read it in a weekend. 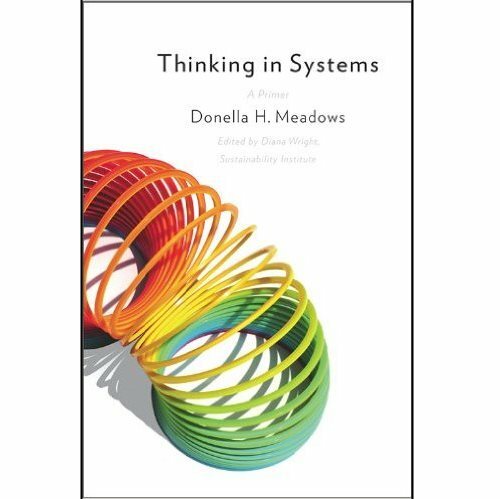 Written by the late Donnella H Meadows. known for the Meadows Report, aka Limits to Growth in 1970 for the Club of Rome. This is yet another book that changed my way of thinking, still loving Pinchot and learning about sustainability. Reading my notes, I believe system thinking or more of it could allow us to solve our problems as it is different from our current models. A short book ( 240 pages total with the appendixes ), I consider this book a must read for people working in Management or Policy. Another book that should be on the reading lists of everyone either working or studying Business nowadays. 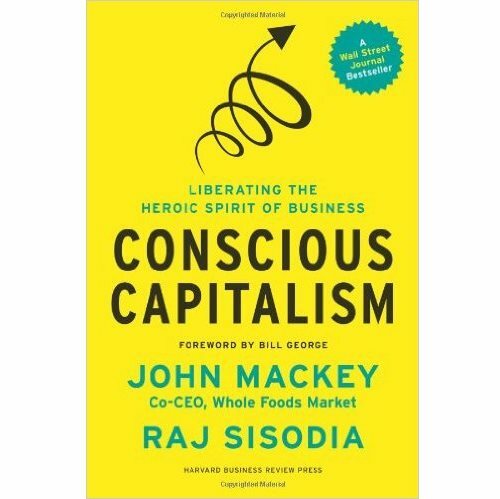 Conscious Capitalism was written by Raj Sisodia and John Mackey, the co-CEO of Whole Foods Market, a very successful company. I was profoundly inspired reading this article. While I may be sceptical of some points, I believe many others are worth reading and will become established truths as many more companies will become conscious businesses. This is to me an essential reading for today’s MBA students and business managers around the world. Written in a mostly day-to-day English, it is easy to understand and short (less than 120 pages). How could Business alleviate global poverty while making money ? By innovating and catering to the needs of the Worlds’poorest, the billions of people live with less than two dollars a day and need to have their basic needs met. This book was mandatory reading for one of our classes and I LOVED it. A must read which I should have bought in a paper format and not on Kindle. This is a great book containing a huge amount of information on how to implement sustainability measures in your company or organization. This is the first related book I read during my Master in Business Administration at Pinchot University. While it has some very debatle opinions and thoughts that still should be read for the excellent point of view and reflection on energy efficiency. To the author, seven thought traps are preventing us and slowing us in our much needed change towards a more sustainable future. She debunks them one by one throughout the pages. A very good book with very good ideas and examples. I knew some of them, but not all. Corporate Social Responbility (CSR) is something seemingly new for me. To learn out more about it, what better way to read about somebody who has done it for the past twenty years ? Timothy J Mohin is the Director of Corporate Responsiblity for AMD, a leading computer hardware company. This book is an essential read to anyone starting or willing to start a career in this expanding field. Glenn Croston’s ” 75 green businesses you can start to make money and make a difference ” is I believe a mandatory reading to any person who is disgruntled about his/her current job or lack of job and is considering starting a green business. Broken down in several handy chapters, each potential entrepreneur will find something interesting. Richard Branson is the serial entrepreneur of genius behind Virgin. Having studied him in my management classes at Audencia back to 2006, I have to say that I really wanted to read his latest book, Screw Business As Usual. Having read it in a couple of days, I have to say that it is highly motivating as Sir Richard explains how so many people around the world are currently changing the world away from Business as Usual to a new, better, greener way to do business. This has a name : Capitalism 24902, for the 24902 miles – 40,000 kilometers – that make the equatorial circumference of our beautiful Planet. Inspiring : that’s the adjective that comes to mind as I have just finished reading Cradle to Cradle, by William McDonough and Michael Braungart. I had heard about that book for quite some time and I understand now why. The book was written in 2002 –with a 2008 reedition – and is replete with enlightening examples of how we can re-imagine the way we design and produce our products, cities and way of life. 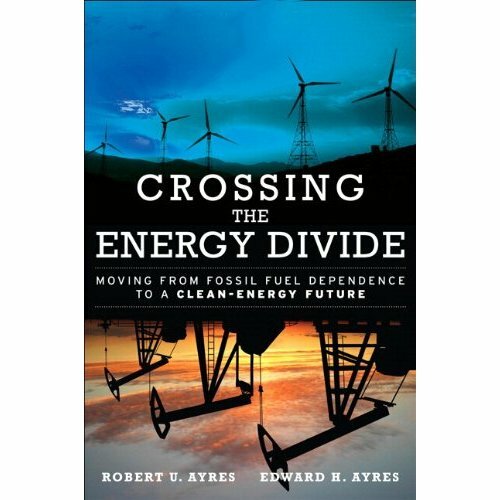 I have read quite a serious amount of books on energy and climate issues. But today I can say I have found my favorite : Reinventing Fire, by Amory Lovins and the Rocky Mountain Institute. Nota : This is really a great book I would recommend to both professionals and the general public interested in building a new society and economy based on efficiency. Nota : Even if this book is providing some valuable narrative and fact, I am not so sure it would be the one I would recommend. While looking for a new book in the shelves of the ESSEC Business School’s learning center, I found this one. With such a promising and current title, little was I doubting that it was written more than 15 years ago. Despite being much shorter than books I reviewed until now, it is full with useful information on many subjects. I don’t remember anything from this book. I still recommend this book to any person who would like to get involved in a greener business and anyone who would like to green his or her current job. A good primer on sustainability and corporate social responsibility. The Plundered Planet offers an interesting discussion on what is referred in economics and sustainability as the resource curse, a critical factor for least developed countries.A good book on how we are just pillaging Earth’s resources. We all know it : energy – and resource – efficiency is the panacea to all our energy and environmental woes. As I finished reading another excellent book on the very matter, I am sharing with you today the main findings. Factor Five is the sequel of the 1997-book Factor Four. It demonstrates how our world economy could become at least five times more efficient and thus truly achieve a sustainable development in terms of economy and environment. 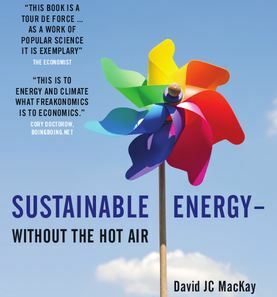 Full with facts, figures and examples taken from all around the world, it shows it is not only possible but that it makes a lot of sense both economically and environmentally. What I considered for years as THE book on energy efficiency. These investments will be able to bridge the gap, the chasm, between these two worlds. This book brings many more ideas and figures. I really enjoyed this book and still remember it quite clearly. Both solutions are much more efficient than current ones and could benefit from massive electrification to answer all our energy needs. This book is just fantastic. It compiles A LOT of useful and great data. I recently finished reading a most interesting book of what Mankind would leave behind once it has disappeared from the surface of the Earth. This 300-page thought experiment was written by the American journalist Alan Weisman. Even if cities like New York will disappear as buildings crumble and as plants of all sorts grow, Nature will have a hard time digesting and erasing from the surface our various pollutions and waste of all kinds. The legacy we will leave behind us may dramatically alter our planet unless we take actions to decrease, cut and slash our environmental footprint… Nota : an interesting thought experiment on what would happen to the human constructions once we’ll be gone. Nota : This is a book I clearly enjoyed and found enlightening. Friedman is a great editorialist and author on energy. As I just finished this book from the renowned founder of the Earth Policy Institute, I will give you my review of what I consider an essential reading on environmentalism. I consider it a must read as it brings not only solutions to most problems our Planet and Mankind are facing, but also hope for a better world. Indeed, the book provides concrete and realistic solutions to vital issues like soil erosion, water and energy shortages or overpopulation. 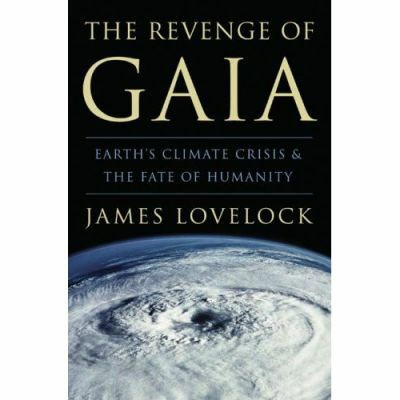 I read this month The Revenge of Gaïa, the latest book from one of the major ecological thinkers of our time, Dr. James Lovelock. This book is not optimistic as the author believes it is already too late to work on sustainable development and that we have to operate a sustainable retreat. I truly enjoyed this as there are many elements worth reading, such as why nuclear is a chance and not a menace for us or what could be the solutions. Nota : Even if this book presents great points, I would say it has aged because of its support of nuclear. During nearly 600 pages, the author gives an impressive class on those civilizations and why they failed and died. Perhaps the best book I read this year. 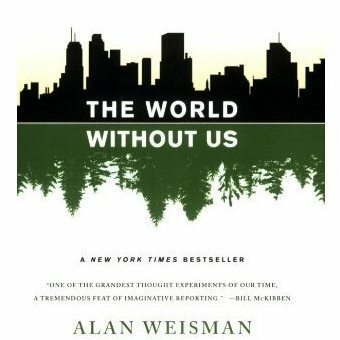 Note : This is still, years afterwards, my all time favorite book on sustainability. Read it, read it, read it.